Dr. Renee Gattefosse who coined the term “Aromatherapy” in his 1937 text titled, “Aromatherapie” is considered the Founding Father of Aromatherapy and he has extolled the benefits of lavender in aromatherapy. 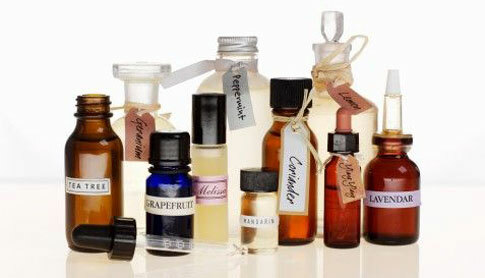 His discovery of Aromatherapy and the therapeutic use of essential oils, however, were actually quite accidental. Dr. Gattefosse was a chemist, studying the use of essential oils for cosmetic uses. The profuse sweating and healing was the lavender working in tandem with the immune system to fight the infection. As a result the wound healed extraordinarily quickly and left little scarring. Gattefosse’s hand must have begun becoming infected immediately. The anti-microbial properties of lavender acted with tremendous efficiency to counteract the effects of the gas gangrene, which is a very serious infection. It’s no wonder that he went on to study the healing benefits of essential oils and spent the rest of his life documenting their properties. Lavender is still used today to heal and ease the pain and inflammation of burns. As a result, a painful burn can almost immediately be soothed by the anti-inflammatory qualities of lavender. Lavender is one of a few essential oils that can be tolerated when applied directly to the skin. It can be used to treat other types of wounds as well, including lacerations and rashes, and, because of its antibacterial properties, prevents infection. The benefits of lavender essential oils in aromatherapy are many. Lavender is also emotionally balancing and is an effective remedy for depression, anxiety and insomnia. Studies have indicated that lavender, combined with tricyclic antidepressants (such as Amitriptyline, Clomipramine and Imipramine) increases their efficacy, and in some cases, the dose of the antidepressants can be decreased. *One should never change the dosage of any prescribed medication without consulting their doctor first. A study in Japan indicated that lavender promotes heart health. In the study, it reduced serum cortisol and improved the coronary flow velocity reserve (CFVR) a measure of the velocity of blood flowing through coronary arteries. This shows a direct correlation between the use of lavender and its effects on blood circulation to the heart. Other heart-healthy benefits include lowering blood pressure and slowing the heart rate. Perhaps best of all, to some, is the extraordinarily beautiful fragrance of lavender essential oil. It takes hundreds of lavender blossoms to make a small amount of essential oils. Given that, lavender oil in comparison to some essential oils, is relatively inexpensive. It’s true that, in most cases, it is sold in ½-ounce quantities, stored in a small brown bottle. However, a tiny bit of lavender oil goes a very long way, although you may find yourself using it for almost everything! Don’t sell that ½-ounce short! It packs a powerful health-promoting punch, proving, once again that good things most definitely come in small packages.